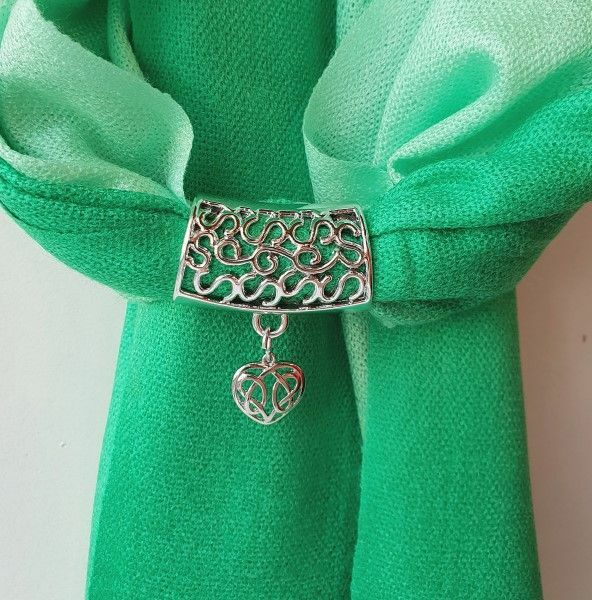 This is a beautifully soft, two tone green, pashmina scarf with all the quality you would expect. (Scarf ring made from durable silver tone plastic). The scarf ring can be removed for matching with other garments and is very high quality and made to last.